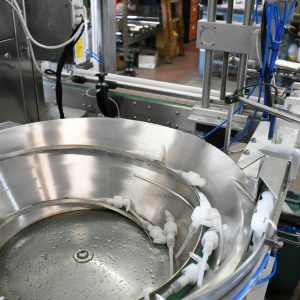 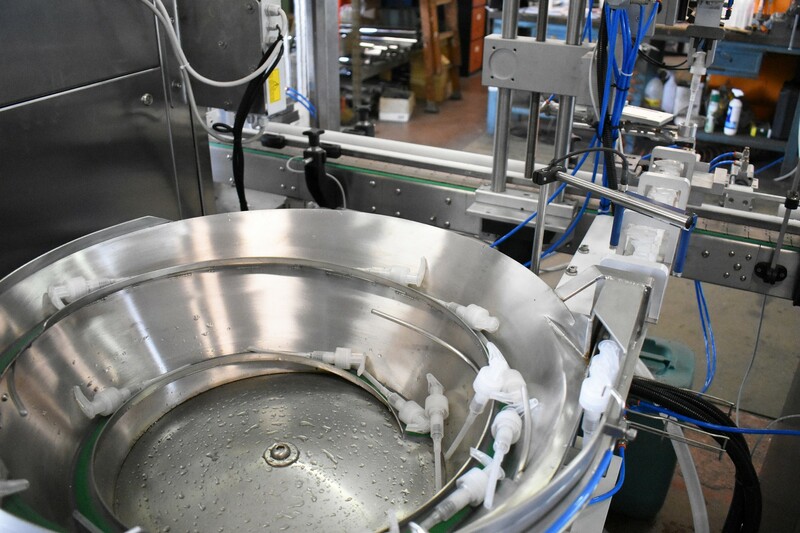 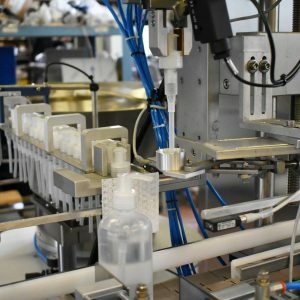 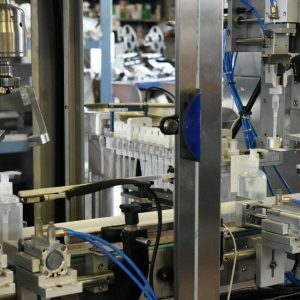 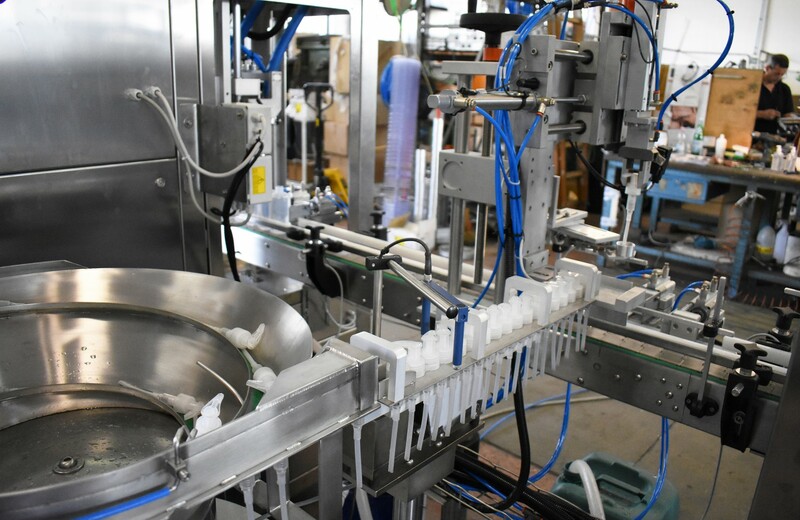 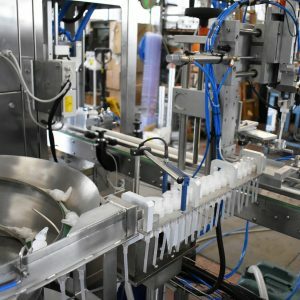 This system for dosing caps, together with our engineer’s skill, made the filling, capping and labelling line, flexible and solid at the same time. 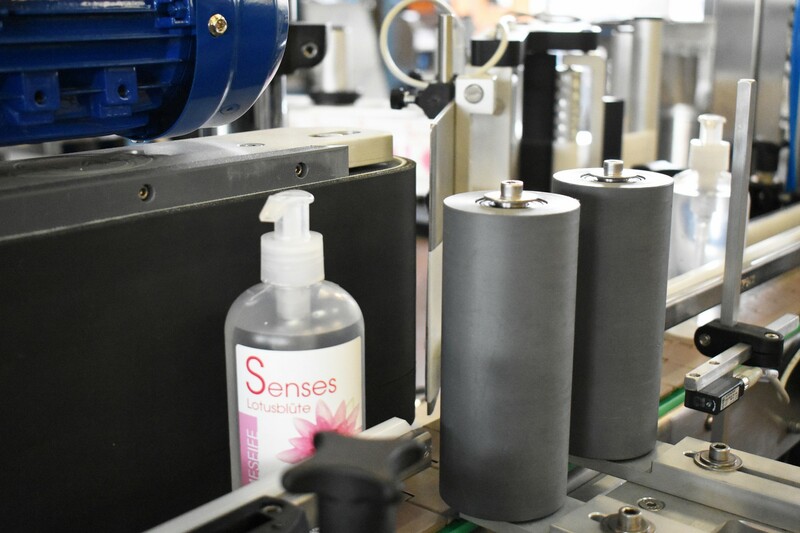 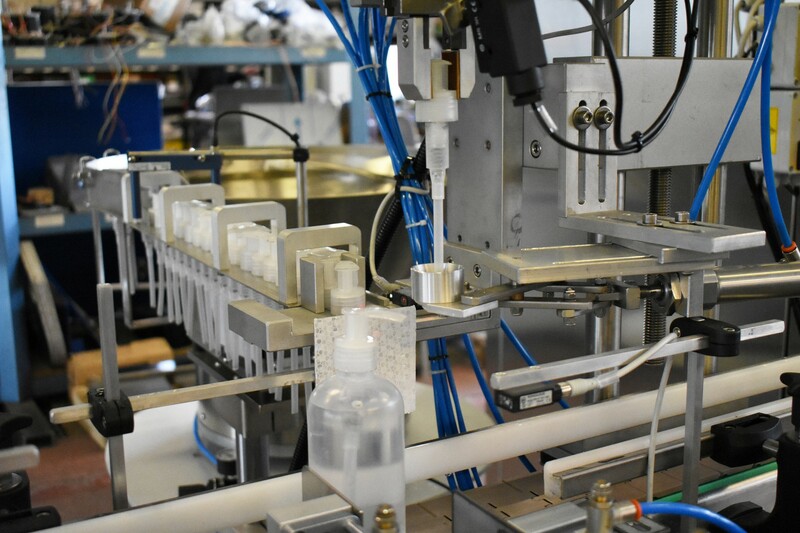 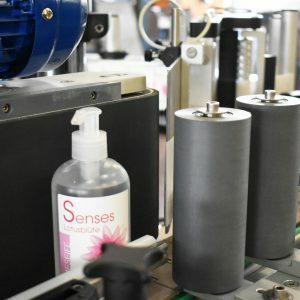 PMR SYSTEM GROUP often has to find simple and efficacious solutions: this is the example of one of the latest lines designed and built for a German customer, leader in cosmetics production. 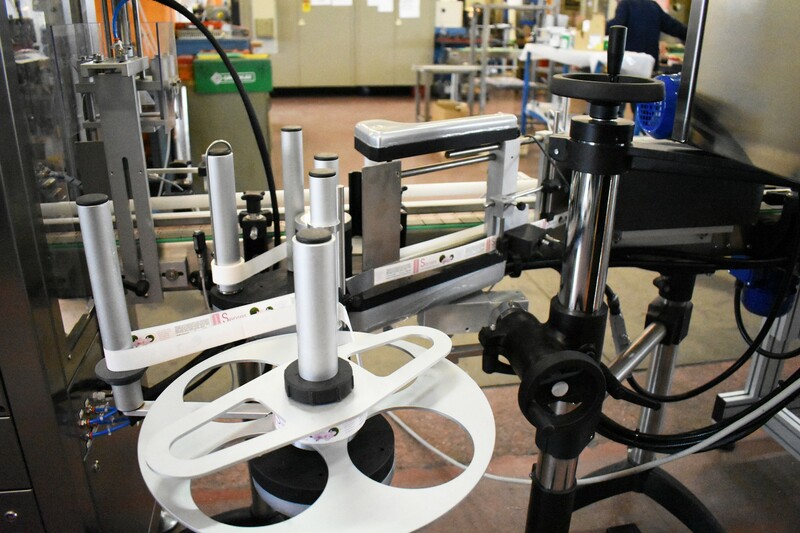 bottom marking device and outfeed table. 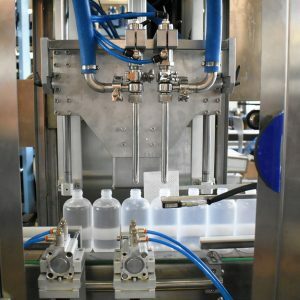 In a world where industrial production is increasingly automated and interconnected, We at PMR SYSTEM GROUP are committed to researching technologically advanced solutions, but always faithful to our philosophy of simplicity. 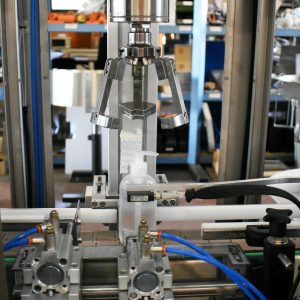 our experts are at your disposal. 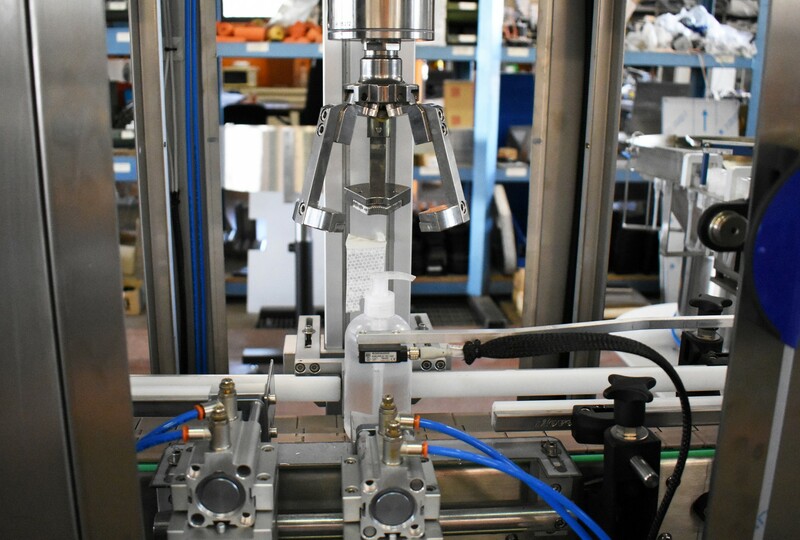 The dosing units we produce are suitable for volumetric, pneumatic and electronic filling of powder, dense and semi-dense products. 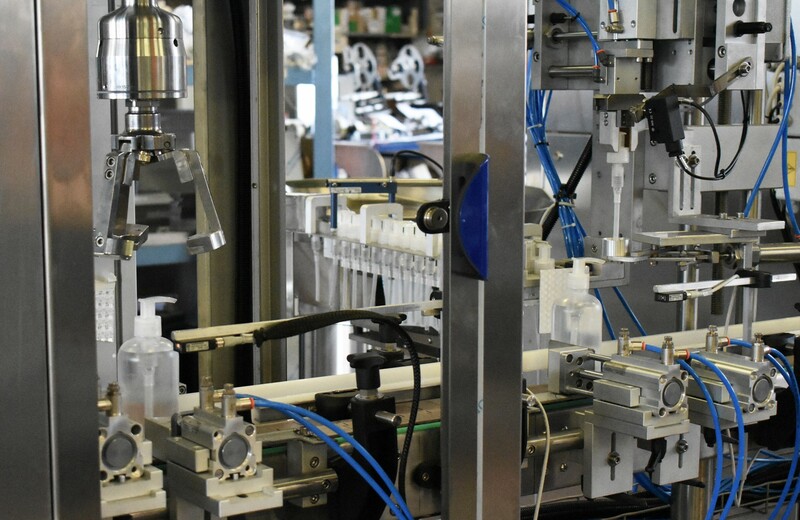 The capping systems we propose are appropriate for each type of closure: screw caps snap or twist off. 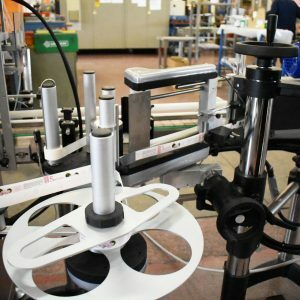 Our devices for labelling meet any requirements. 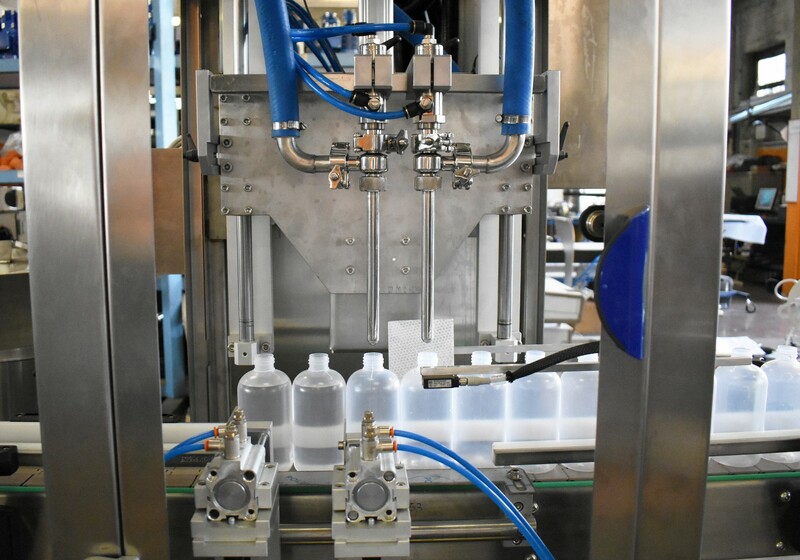 Applications can be on top, on bottom, front/back, wrap around, Print & Apply, security seal, etc.